As initially concieved, the Neo Project wanted to replicate or produce as much material as possible to make the game "legit." We've kept that up even with the new edition and will be producing some materials to expand on the experience. Below, find those items we have had a chance to produce thus far! Our initial intent had also been to release all of our tools used in the making of the Neo Project upon completion. That didn't happen originally, though with the modern disassembly most of the work is already done so instead, please find a handful of the code snippets and tools we have used in building this iteration! 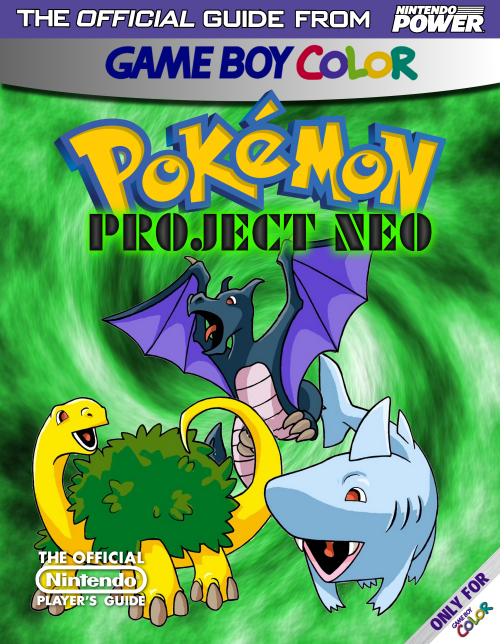 Pokemon Project Neo Player's Guide Cover - A mockup of a Pokemon Project Neo player's guide cover. 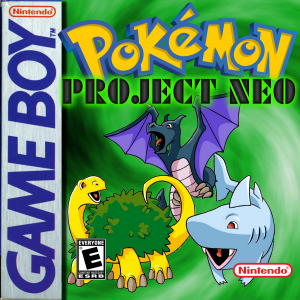 Game Box Cover - A mockup of a Pokemon Project Neo box cover for the original Gameboy. ClassicMap 2016 - Updated ClassicMap map editor for RB; in particular, rigged to work with the pokered disassembly, read the pokered.sym files for information, and a handful of additional supports for the use with the disassembly. Spreadsheet - Pokemon Stats - XLS Spreadsheet of Pokemon data; to ease in the generation of new stats compatible with the original Pokemon by providing averages for various power levels. Pok�mon and associated characters, logos, and insignia are copyright © 1995-2016 Game Freak Inc, Creatures Inc, Nintendo of Japan, Nintendo of America, and the Pokemon Company Inc.